Make sure the Hybrid+ drive is connected with your machine. Open your Zoolz desktop software. 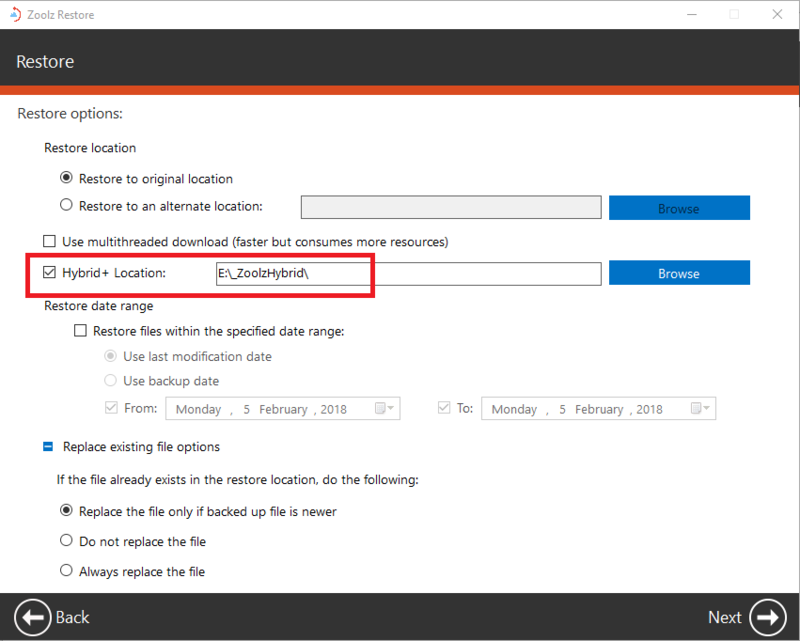 From the Dashboard of Zoolz, click Restore. 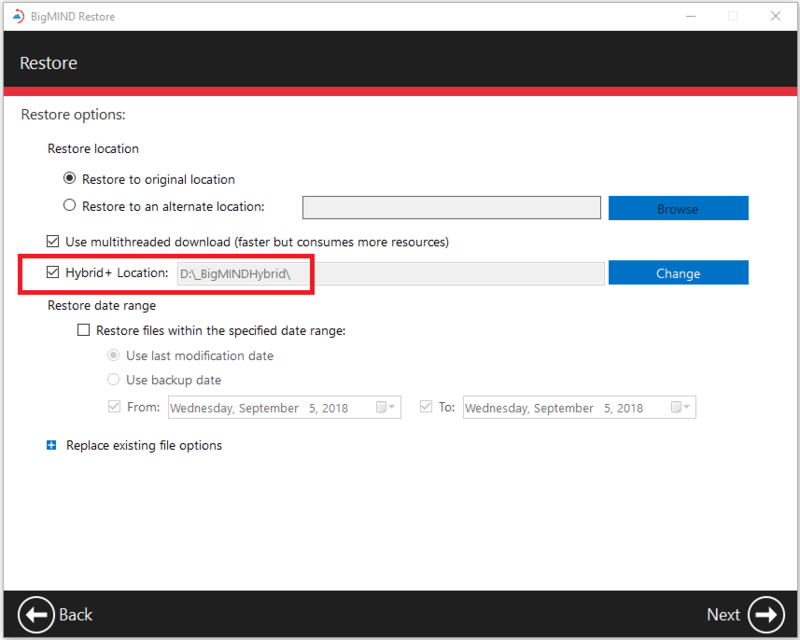 Select the data you need to restore → Click the Next button. This way, when Zoolz starts the restore, it will start getting your files from the Hybrid+ backup first. 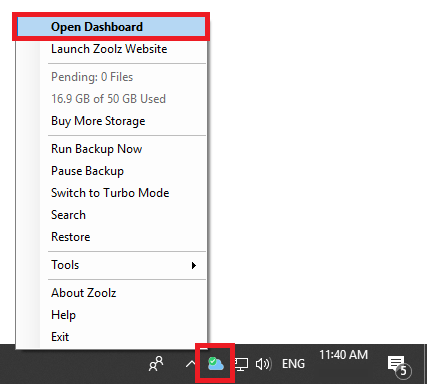 If some files are not in the Hybrid+ backup, Zoolz will request them from the Cloud. 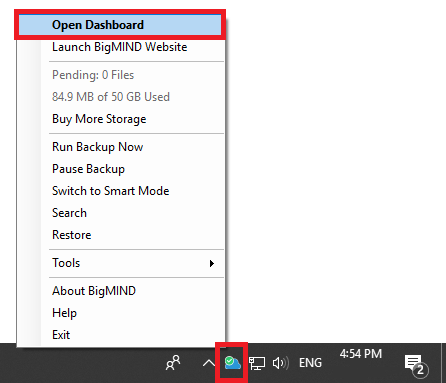 Open your BigMIND desktop software. From the Dashboard of BigMIND, click Restore. This way, when BigMIND starts the restore, it will start getting your files from the Hybrid+ backup first. If some files are not in the Hybrid+ backup, BigMIND will request them from the Cloud.